If you’ve always dreamed of adding a luxury house on the French Riviera to your investment portfolio, you likely understand that finding the right realtor to help you construct your project is crucial. BARNES Realty is a trusted name in the ultra-luxury Riviera property sector, working with some of the world’s wealthiest clients and offering everything from sales assistance to property management, tax advice and interior design services. Whether you’re hoping to secure a sumptuous mansion with breathtaking sea views in close reach of glamorous Cannes or a villa for sale in Mougins, the expert consultants at BARNES will help you acquire the perfect luxury house on the French Riviera. When discerning investors seek a luxury house for sale on the French Riviera, they are solely interested in properties that are truly exceptional. A world leader in high-end real estate with a portfolio comprising some of the world’s most sought-after properties, BARNES caters to high net-worth individuals. Current listings include a superb villa for sale in Théoules sur mer: a seafront property with 2 separate villas and private beach access in Theoules, near Cannes. This property is a true Mediterranean palace, stretching over 133,000 sq. feet. For prestigious real estate in the Riviera, contact BARNES right away. A luxury house for sale on the French Riviera is in your sights. Luxury real estate on the French Riviera is often prized for its proximity to sandy beaches and yacht harbors, luxurious shopping amenities and renowned gastronomic restaurants. The Riviera is an area of sublime natural beauty in France, and the most sought-after properties thus often afford breathtaking views and scenery. Whether you’re currently in the market for a luxury villa on the Cap d’Antibes or a luxury penthouse with sea views in Nice, consult our listings at BARNES Realty, then get in touch with our experienced realtors to start building your investment project. When you’re seeking luxury real estate on the French Riviera, nothing short of the very best is acceptable. 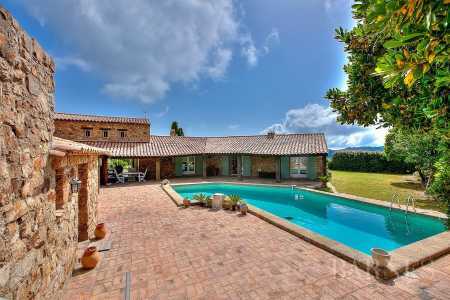 Perhaps your goal in seeking luxury real estate for sale on the French Riviera is to acquire a secondary home in France, or to bolster your property portfolio with a breathtaking villa beside the Mediterranean, or spacious villa for sale in St Tropez. Whatever your objectives and goals, the expert realtors at BARNES will help you meet and exceed them. BARNES luxury property investment services are synonymous with excellence and prestige. The agency’s extensive portfolio of high-end Riviera properties and its commitment to concierge-level service set it apart from the competition. If you’re looking for luxury real estate for sale on the French Riviera, get in touch now. Is your dream to acquire a luxury apartment on the French Riviera? From Cannes and St Tropez to Antibes and Cassis, our high-end real estate company lists some of the Riviera’s most exclusive properties: true crown jewels in any prestigious property portfolio. The agency offers far more than property search services: from legal and tax advice to renovation and decoration services, the personalized guidance we give our clients is what sets us apart. Contact our expert realtors now to home in on the perfect luxury apartment for sale on the French Riviera. With BARNES, your investment dreams are now within reach. We also list luxury chalets for sale in France. 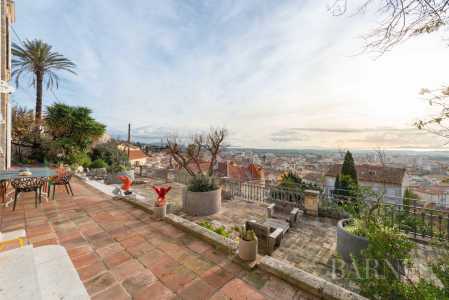 Related keywords : penthouse paris, luxury villa on the cap antibes, luxury chalet in france.